I tell my clients all the time that if you loved it once, you can love it again. 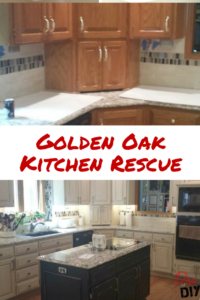 That’s what we accomplished with this Golden Oak Kitchen Rescue. You fell in love with the home. Chances are you fell in love with the kitchen because after all, the kitchen sells a home. Once a kitchen becomes tired and outdated, you begin to slowly fall out of love with your home. 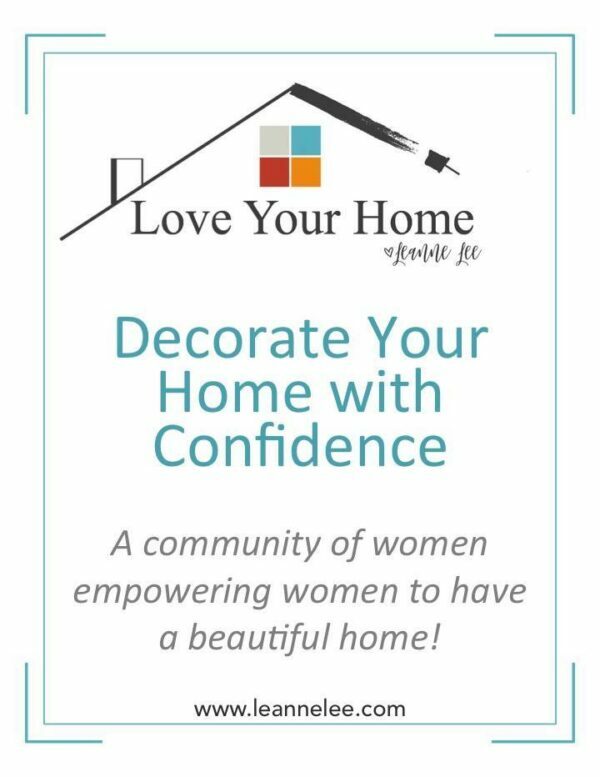 Get the desire to love your home all over again with a kitchen makeover. Honestly, most of the time it doesn’t take much money at all to accomplish the end goal. The before and after pictures just don’t justify the space. This kitchen was intact structurally, but was totally outdated. When I walked into the home I was expecting a fabulous kitchen, but, it was far from it…I see why they wanted Rekindled Spaces in their home! 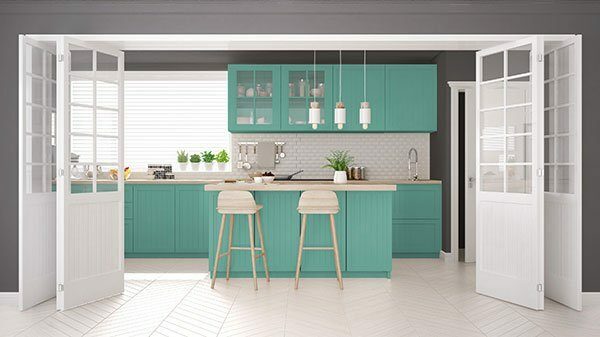 After speaking with the homeowner about her kitchen rescue and quizzing her on what it was that she was going for, she said she wanted the kitchen to be bright….as a kitchen should be! 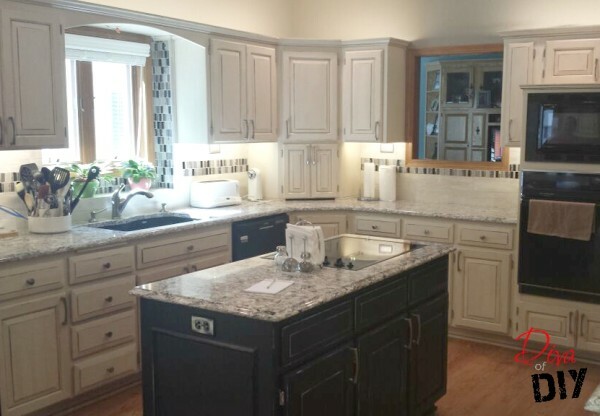 She wanted a bright, clean kitchen that she was proud to cook her family meals in. The home had fabulous counter tops so I decided to play off them and center the design around the light and dark contrast. 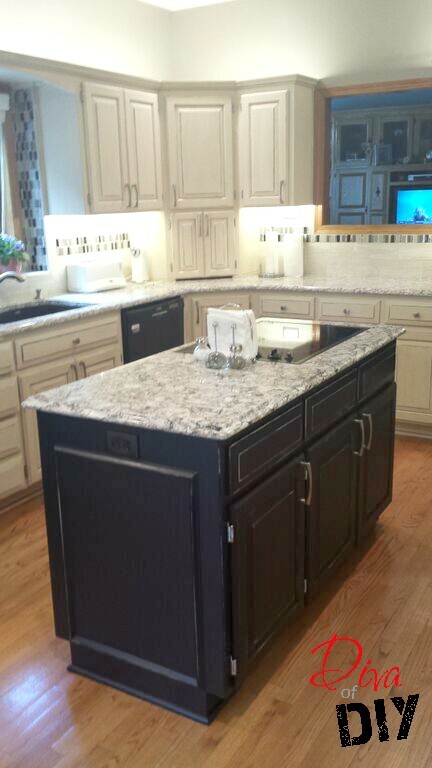 Because the client wanted bright, I knew we had to go with white cabinets. 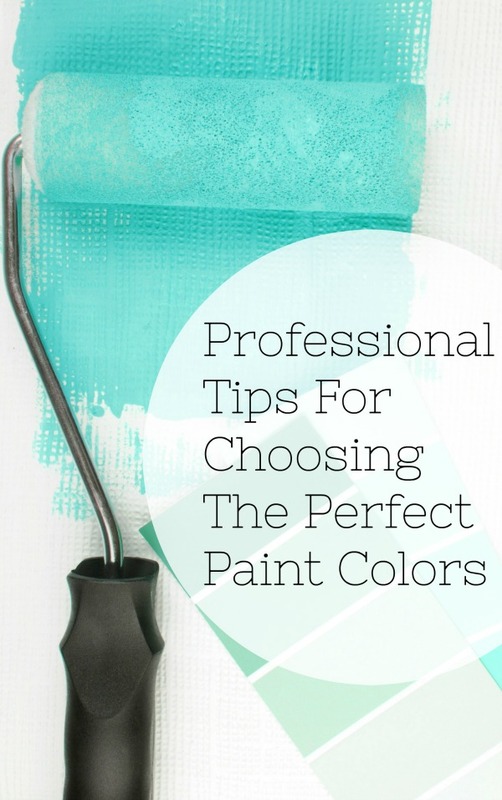 (Here’s a great tutorial on how to paint cabinets like a pro!) Also, I love to play with contrast and went for it in the kitchen island. 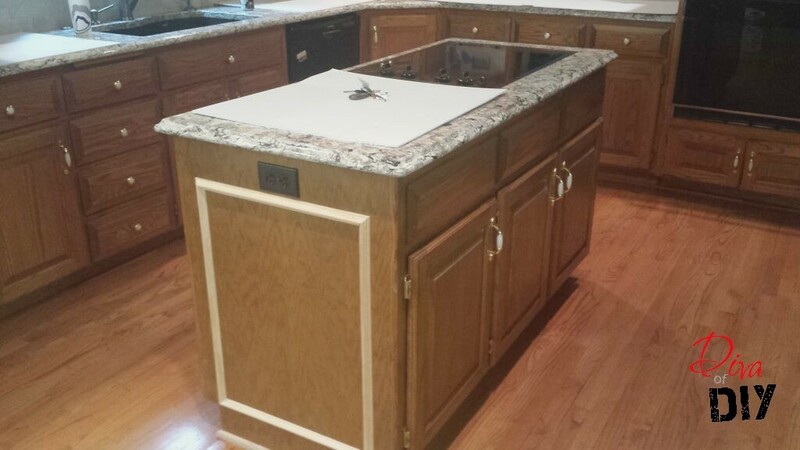 I ended up giving the island a distressed look to help blend in with the main cabinets. The island just pops out now! I love love love how it turned out. I also decided to put in a lot of cabinet lighting. 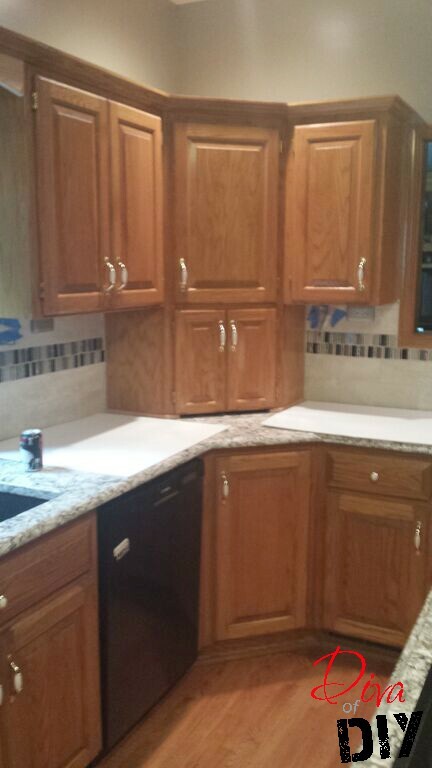 We did some under cabinet lighting as well as up lighting on the upper cabinets. This has definitely helped the client see what she’s doing in the kitchen and gives a great ambiance. You’d be surprised how little it can cost you to makeover your own kitchen. Here are a few small upgrades and accessories that can make a big difference.